Add a magical charm to the festive mood of Raksha Bandhan by ordering online this Delectable 250 gm. 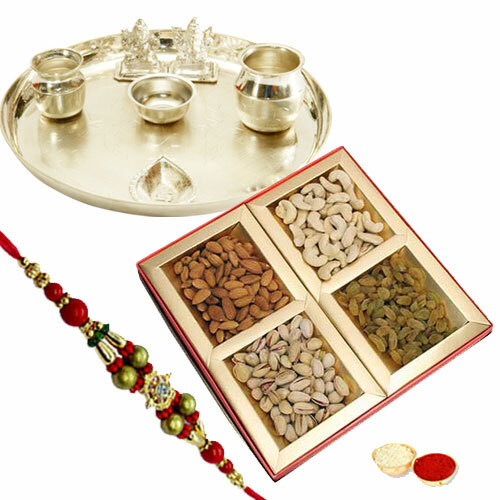 Mixed Dry Fruits with Silver Plated Thali whose beauty is elegantly amplified in the presence of a free Rakhi, Roli Tilak and Chawal. The Thali size is 5-6 inch.